Many kids love the classic book The Rainbow Fish by Marcus Pfister. Since it's publication there have been alternate versions that focus on counting and colours. It's a great book and one that you should definitely check out for your toddler. In my never-ending quest for fuss-free, minimal mess toddler craft ideas, I always go to classic kids books for inspiration and the toddler activity idea I have for you today is no different. 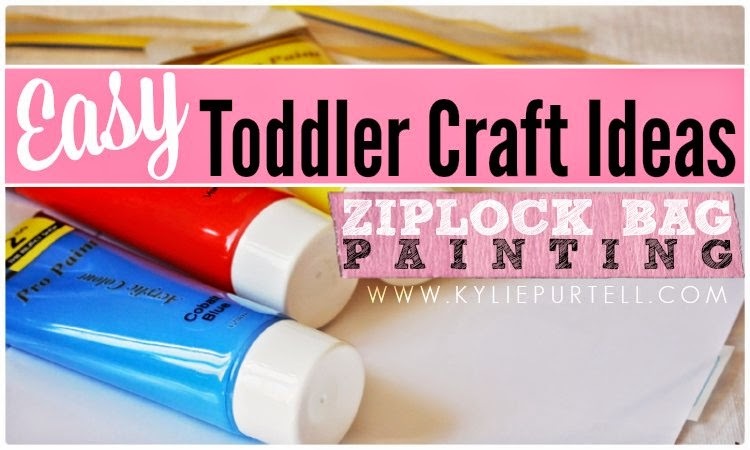 I got the basic inspiration for this easy toddler craft from the preschool that Punky goes to. When I saw how simple the fish were to make, I knew it would be the perfect easy activity to do at home. Cut a wedge(triangle) out of the plate, like you would cut a piece of cake. This will become the tail. Staple or glue the wedge to the opposite side from which you cut it out, with the wider edge off the plate and there you have your fish! Alternatively you can just cut the fish shape out of any cardboard you have lying around. Cut up squares or other shapes out of the coloured paper and put them all in a container. 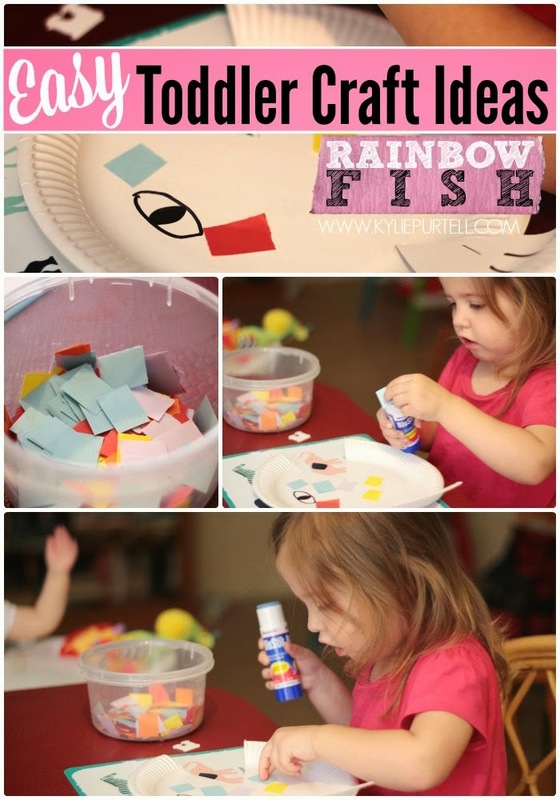 Sit your toddler down with the glue stick and away they go, covering their paper-plate fish with lots of colourful paper scales. You can draw an eye and some fins on the fish too if you like. This activity kept Punky occupied for ages and there was minimal mess to clean up at the end, just a bit of glue on her hands and the bench. I also gave her a blu-stick to use, where the glue goes on blue but dries clear, this made it easier for her to see where she had put the glue if she wanted to glue the fish first and put the scale on that, but mostly she preferred to wipe the paper scale on the top of the glue stick and then put it on the fish. For older toddlers this would also be the perfect opportunity to practice first scissor skills. Have them use a pair of safety scissors to cut up the coloured paper. It's also a great opportunity to talk about and learn the different colours you're using. Just make sure that whatever paper scales are left over you put well away, out of reach of your toddler. Unless of course you want your lounge room to look like a confetti factory exploded in it! 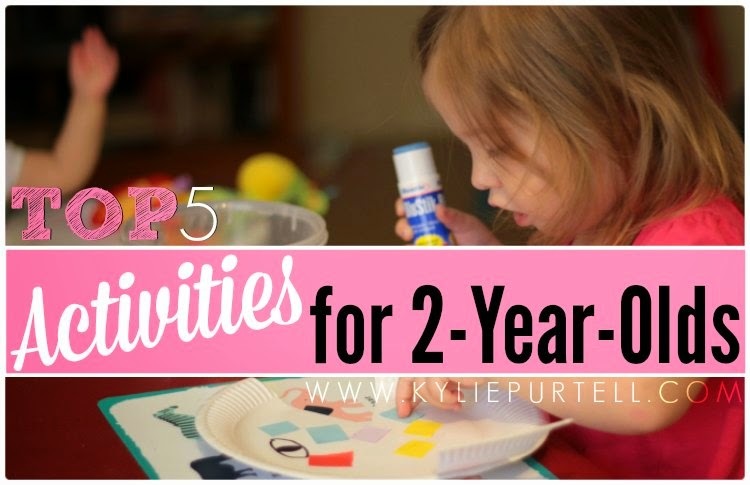 Do you do much art & craft with your toddlers and preschoolers? Have you got any other great paper-plate craft ideas to share?